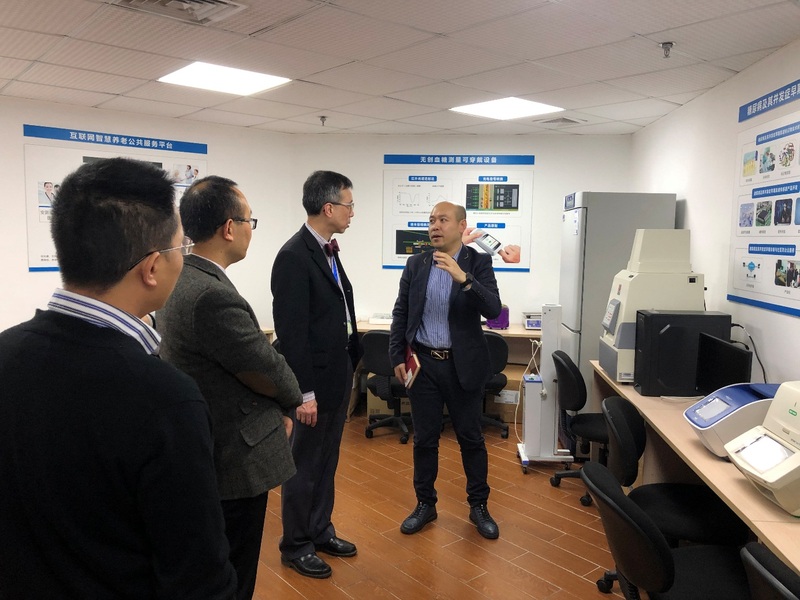 On January 22, Prof. Chen Haowei from the Shenzhen Hospital of the University of Hong Kong led a team of experts to visit the headquarters of E-Techco (Qianhai AnyCheck) in Shenzhen to inspect and research smart medical projects, and inspected the construction of smart medical model sites. Ms. Xiao Yingfen, Vice Chairman of E-Techco Group, Dr. Gao Weiming, Chief Engineer and General Manager of Investment Department, Mr. Hou Yunchao, Vice President of E-Techco Group and General Manager of Market Headquarters, Mr. Liu Wei, Director of Channel Department, Mr. Fu Wenzheng, Solution Manager, Zhao Kang Mr. Fu and others accompanied the inspection. 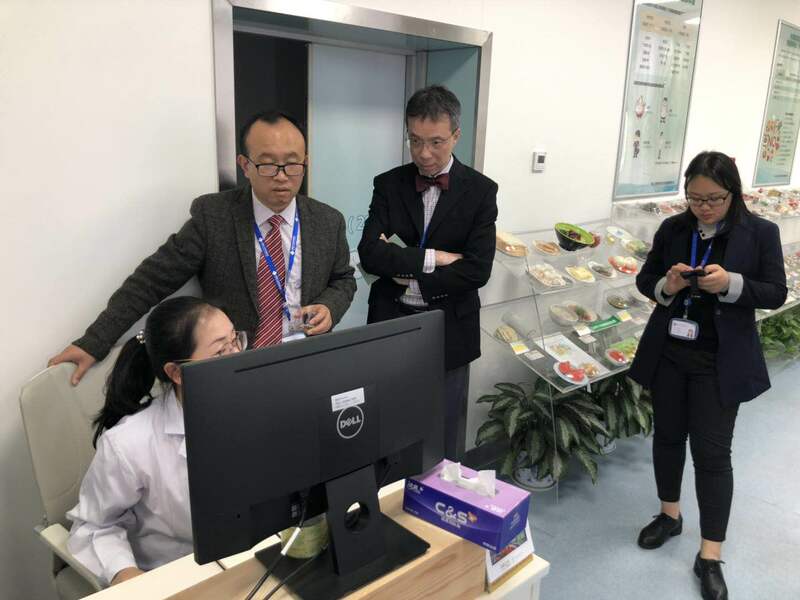 During the period, Prof. Chen visited the product display center of our company and visited the wisdom medical model of our company: Nanshan District Health Office, inspected the remote consultation center, health management department, information section, etc. of the health care office, and listened to it. A briefing on the relevant departments. 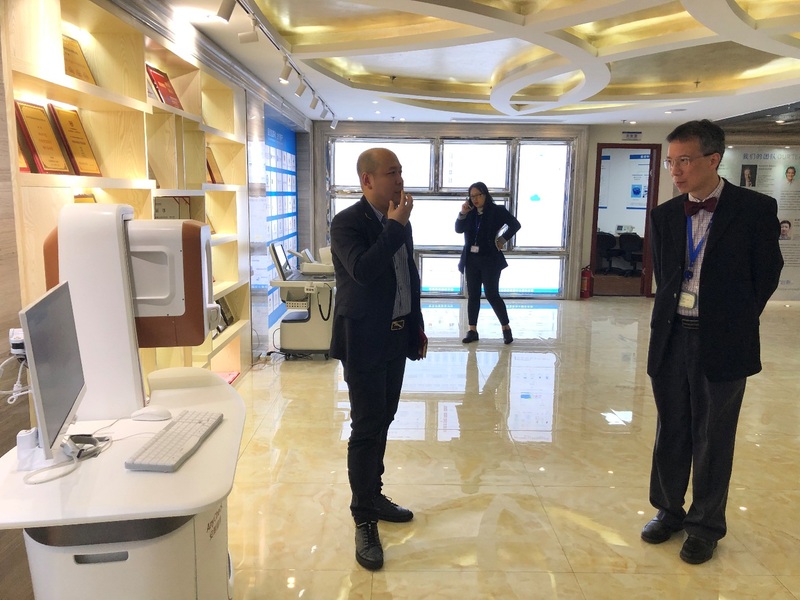 Mr. Hou Yunchao, Vice President of E-Techco Group and General Manager of Market Headquarters, reported in detail the brand building of our company's smart medical model points, and demonstrated and introduced the “AnyCheck Health Management System”, “Anxi Intelligent Wisdom System” and “Safety Measurement System”. New functions of various platforms such as the disease management system. 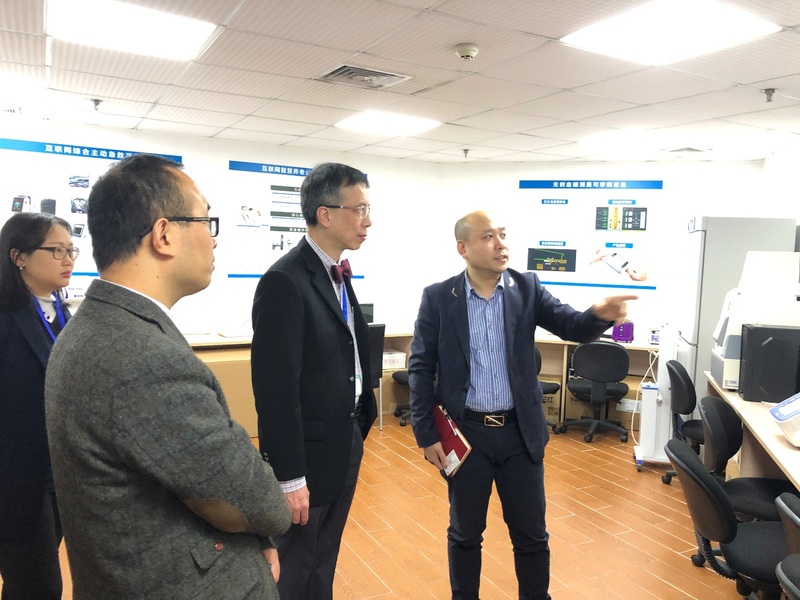 After a field visit, Prof. Chen fully affirmed the wisdom and medical innovation products and services that our company has promoted in the “AI+Medical” mode in recent years. The two sides then held a discussion on how to deepen and promote strategic cooperation in smart medical care. Mr. Hou Yunchao said that E-Techco (Qianhai AnyCheck) has applied for/has more than 3,000 intellectual property rights in the field of “AI+Medical + Health + Pension”, and combined medical information developed by artificial intelligence, big data, deep learning and other technologies. Products and solutions such as chemical, health information, regional health information, smart pension, health monitoring equipment, etc., have been applied to more than 650 top three hospitals, dimethyl hospitals and medical institutions at all levels in more than 20 provinces and cities nationwide. Hundreds of millions of residents have brought more intelligent, convenient, more accurate and efficient basic medical services, health checkups, chronic disease management and Chinese medicine rehabilitation and many other services! 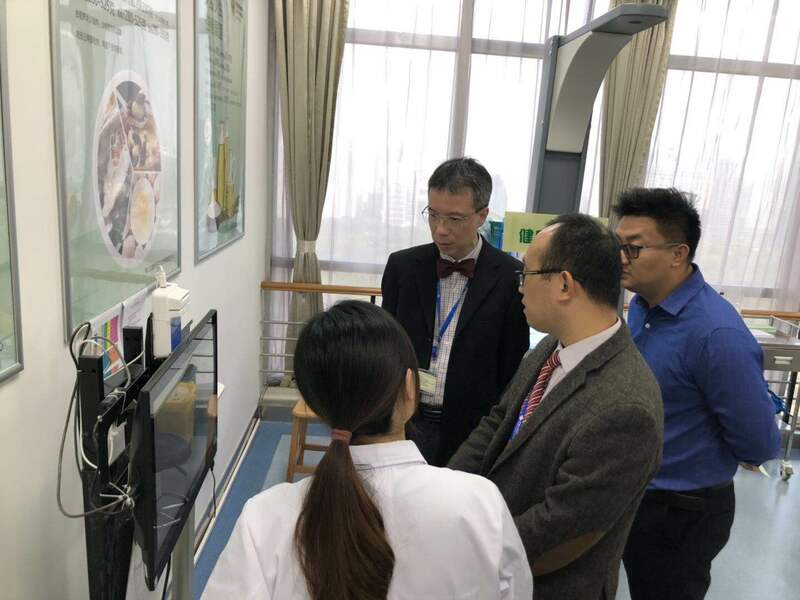 As a model of Shenzhen-Hong Kong cooperation and reform and innovation, the Hong Kong University Shenzhen Hospital hopes to strengthen strategic cooperation with Shenzhen University Hospital in research and innovation and community medical care to bring better medical services to Shenzhen residents and mainland residents. 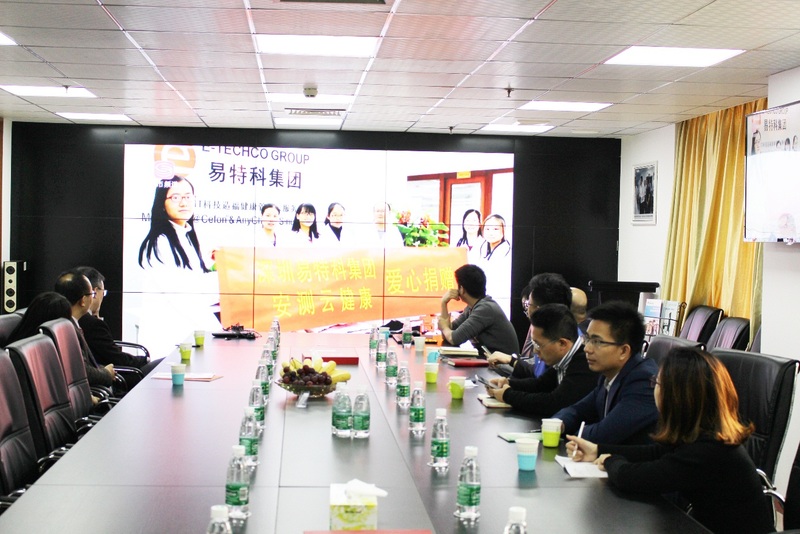 Professor Chen Haowei and other expert groups listened carefully to the work report and fully affirmed the achievements and innovative practices of E-Techco (Qianhai AnyCheck) medical and health work. 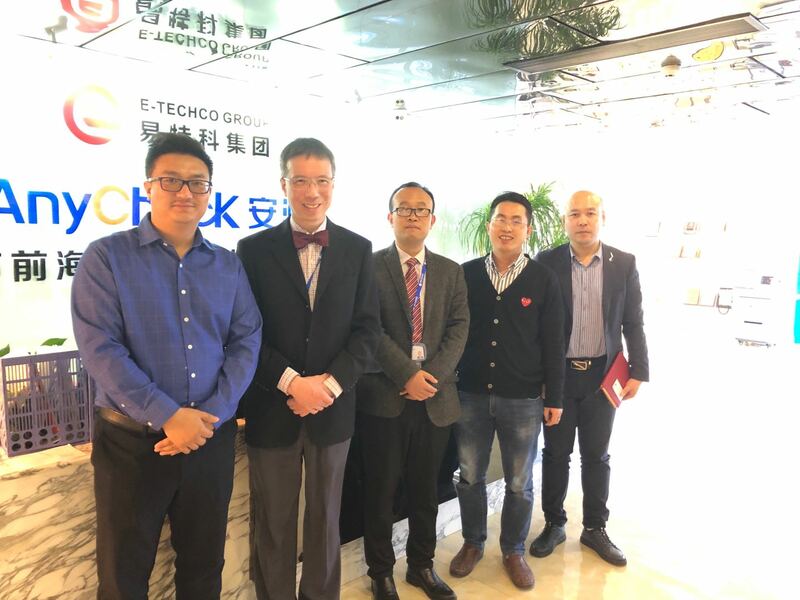 Professor Chen Haowei encouraged E-Techco (Qianhai AnyCheck) and Hong Kong University Shenzhen Hospital to strengthen and deepen strategic cooperation, continuously innovate cooperation models, broaden cooperation areas, deepen cooperation results, and let quality medical resources “sink down” and “take roots”. Improve the health of the people and better meet the people's growing needs for a better life.